People are living longer these days. The average American has added nearly 30 years to their lifespan. Even in the last 50 years, people are living about 10 years longer. But there is something to be said about quantity and quality. As individuals age, their needs change. 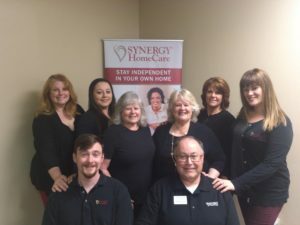 SYNERGY HomeCare Olympia has worked with many clients over the years and they have the experience and expertise to find solutions for seniors who desire to stay in their home, maintain their independence, and increase their quality of life in their golden years. “We have a passion for caring for seniors,” Brad says. His care and concern for his clients is evident when he enthusiastically describes the ways his in home care service helps clients. Independence and support may seem like contrary terms. But when applied to adult caregiving, that is simply not the case. An in-home caregiver can provide the support that a senior needs to stay in their home and continue life as usual, just with a little help on the side. SYNERGY HomeCare Olympia provides a number of options for assisting seniors who want the independence of staying in their home. 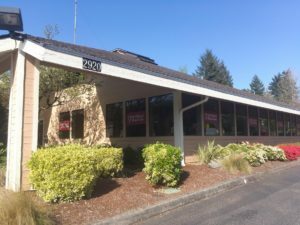 SYNERGY HomeCare Olympia has a number of ways they can help improve the quality of life for seniors. Their level of involvement is tailored to each individual client. Some clients simply need companionship, someone to spend time with them for a few hours each week in their home. Other clients want someone to take them out to appointments, run errands or grocery shop. Other clients need or benefit from someone available to help keep track of medications, do some light housekeeping, encourage physical activity like walking or help them by making a menu plan. Getting some exercise and eating nutritional meals are two main ways a senior can prevent falls. Both help maintain their muscle mass so when a fall is about to occur, their muscle reflex or response is strong enough to prevent the fall. Sometimes caregiver spouses or children need a break from the caregiving they do for their family member on a daily basis, especially if the care needs have changed over time or increased. In these instances, SYNERGY HomeCare Olympia can step in and provide respite care for the family caregiver to get a much needed break. Some seniors need a bit more help as they age. Chronic conditions like dementia or physical disability may benefit from in home care. SYNERGY HomeCare can provide these services. Their dedicated care professionals can also provide hospice or end of life care when the need arises. SYNERGY HomeCare Olympia thoroughly screens caregiver applicants. Each applicant receives a complete background check with law enforcement services and their personal and professional references are checked. Each employee is also bonded and insured. Every employee is hired for their dependability, good judgment, and dedication to helping others. But SYNERGY HomeCare’s commitment doesn’t end there. 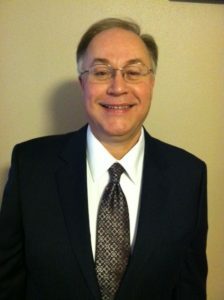 Brad and his staff work to match clients with caregivers and caregiving teams that are the right fit. If a SYNERGY HomeCare professional calls in sick or must miss a scheduled shift, the company has back up professionals that can fill in so they never leave a client hanging. Individual needs and circumstances are always changing and SYNERGY HomeCare understands that, which is why they don’t have contracts. All they require to cancel or change services is a simple phone call. If you are a senior who would like learn more about how SYNERGY HomeCare Olympia can assist you or if you are a family member that would like to look into options for someone you love, stop by the office or call to get your questions answered. Next articleWhat’s New At Drip Espresso Bar? Anniversaries, Matcha and More!